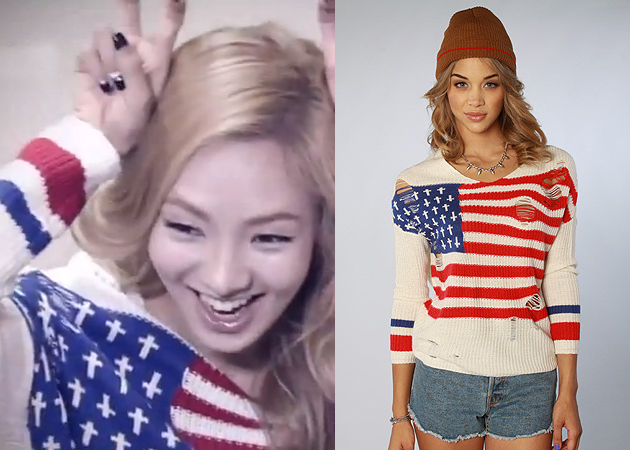 For episode 1 of Dancing with The Stars, SNSD‘s Hyoyeonis seen wearing the Flag Religion Sweater from UNIF. The sweater is currently on sale at Karmaloop for $64.95 , as always for up to 20% off, use repcode Kstyle. 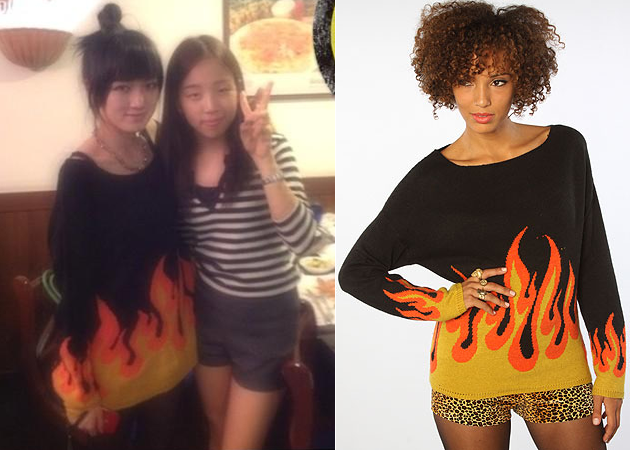 Back in September, Miss A‘s Jia was seen wearing The Turn Or Burn Sweater from UNIF for her lunch with Baek Ah Yeon. The sweater is currently on sale at Karmaloop for $69.00 , as always for up to 20% off, use repcode Kstyle.